Proposition 8, which banned Gay Marriage in California, was overturned by Judge Walker. 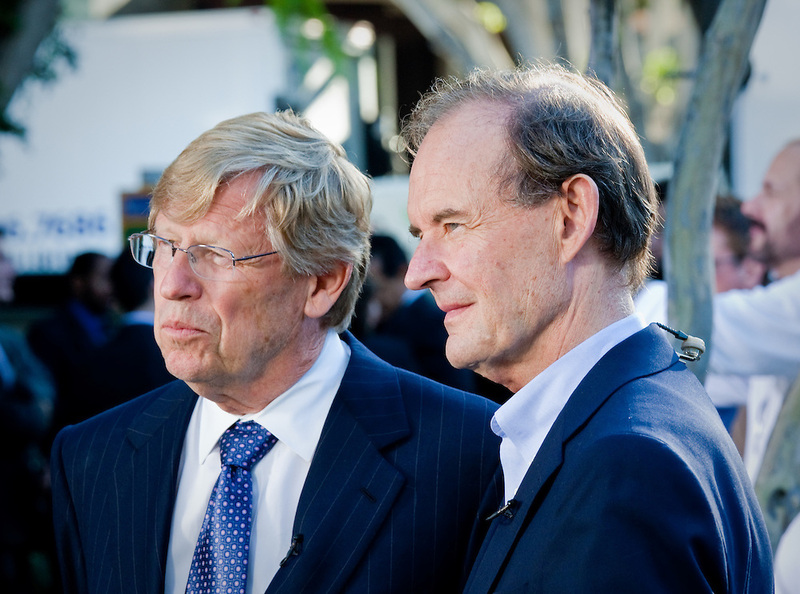 L-R. Ted Olson and David Boies, lawyers of the Plaintiffs against Prop. 8, are seen during a press conference at a rally after Prop. 8 was overturned. Prop 8 Proposition 8 West Hollywood Gay Lesbian Homosexual Equality Hate Homosexuality Marriage unconstitutional.